9.5" x 6.6" stitched on 14 count. 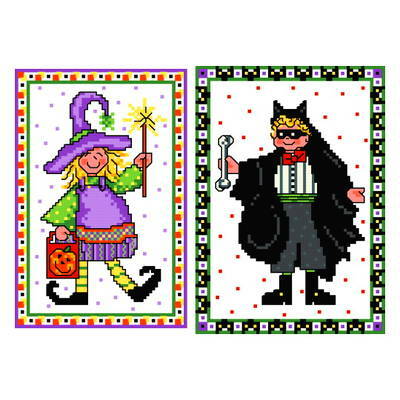 Trick or Treat Kids cross stitch pattern... Trick or treaters make a cute pair.